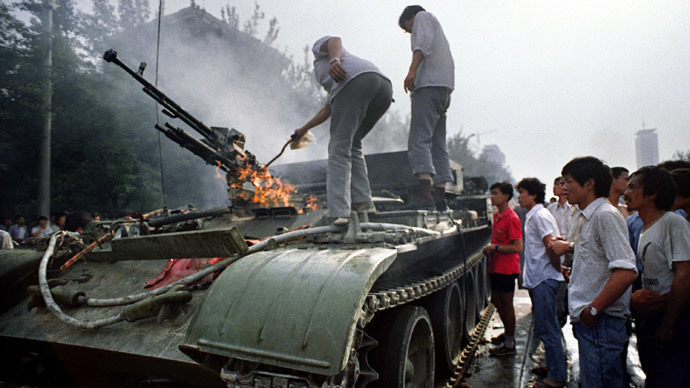 This week marks twenty five years since the world was told of a brutal massacre by the Chinese Peoples’ Liberation Army of “thousands” of peacefully protesting pro-democracy students in Beijing’s Tiananmen Square. The response from the West then was to demonize the Chinese government and to impose economic and military sanctions which in many cases exist to the present day. A recent release of a diplomatic telegram from then-US Ambassador to China, James E. Lilley, to Washington sheds new light on what really happened that June 4. The report of a deal between student protestors and the military to end the protest peacefully and leave had been told to me by various young Chinese in personal accounts on recent visits to Beijing, but until this WikiLeaks release of the Lilley cable, it could never be confirmed. Now it seems clear that the entire story of “thousands” of dead students at Tiananmen Square, whose very name in the West is synonymous with brutal government suppression of democracy, was largely a fabrication. The protests were real, but not the horrendous stories of slaughter. Indeed, as I have written elsewhere, there is rather strong circumstantial evidence that suggests that the CIA and US State Department played a key role in trying to goad on the student protestors at Tiananmen Square; much like the CIA did in Hungary in 1956, in order to provoke a government bloodbath of repression. Around the same time as Tiananmen protests in April-June 1989, the Chinese government banned a Chinese NGO of US operator George Soros, the Fund for the Reform and Opening of China, after interrogating its Chinese director in August 1989 and claiming that the Soros China fund had links to the CIA. The Soros Fund according to Chinese reports had been supported by ousted Communist Party chief Zhao Ziyang. 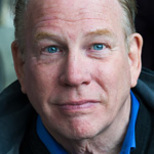 Significantly in addition to the Soros Fund, Gene Sharp of the Cambridge Massachusetts Albert Einstein Institution, whose handbooks on “non-violence as a method of warfare” have been the “how-to” textbook for every color revolution to date, was in Beijing days before the Tiananmen events. Then-US Ambassador Lilley himself was a career CIA officer who, like then-President George H.W. Bush, had been in the secretive Yale Skull & Bones society, and who was with Bush at the CIA. The circumstantial evidence points to an attempted US destabilization of China designed to coincide with the collapse of the Soviet Union in 1989, with Lilley the likely on-the-ground coordinator. When the PLA failed to fill Beijing with the blood of “thousands” of student democracy martyrs, Washington could simply go with fabrication of a fantasy or virtual massacre and, because of its overwhelming control of mainstream media; most of the world could believe the Washington version.